The Spring/Summer 2019 collection by Donatella Raggio, an apprentice to Vincenzo Attolini, has a retro style but not too much. The influence is clear.“I love the 70’s”- Donatella is used to saying very often. This love inevitably echoes in very collection. 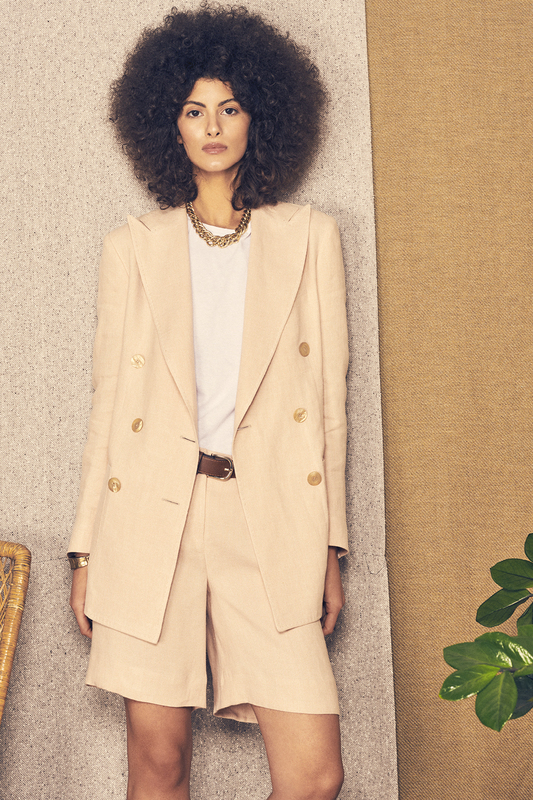 In the oversized sartorial jackets, in the pastel colors, in the wide-legged trousers, in the use of the crepe de chine. A forty-piece collection featuring sartorial designs, shirts, dresses, trousers, jumpsuits, dust coats and a mini knitwear line that she herself defines as being ‘’special’’ in the study of suture. The coat is definitely the hard-core, refined in the smallest details and having a perfect fit.She, a tailor’s daughter, has a ‘’traditional’’ concept of the jacket. A tradition combined with the evolution. The jacket changes and this is normal, since women change. Their needs change, their bodies change. The important thing is to not lose the value of a piece that is so precious. The value of a Donatella Raggio jacket is given by the construction. A sartorial construction with 60% of the garment being hand-sewn. Lengths, sizes, details change. The jacket remains the same, an iconic piece that from Armani on has been a massive hit on the catwalks of the most important designers every year. Fibers are exclusive: they are of fine Italian and English craftsmanship and selected in the main sector fairs. A selection of technical fibers in silk and in cotton, that are sporty but sophisticated, is not excluded.